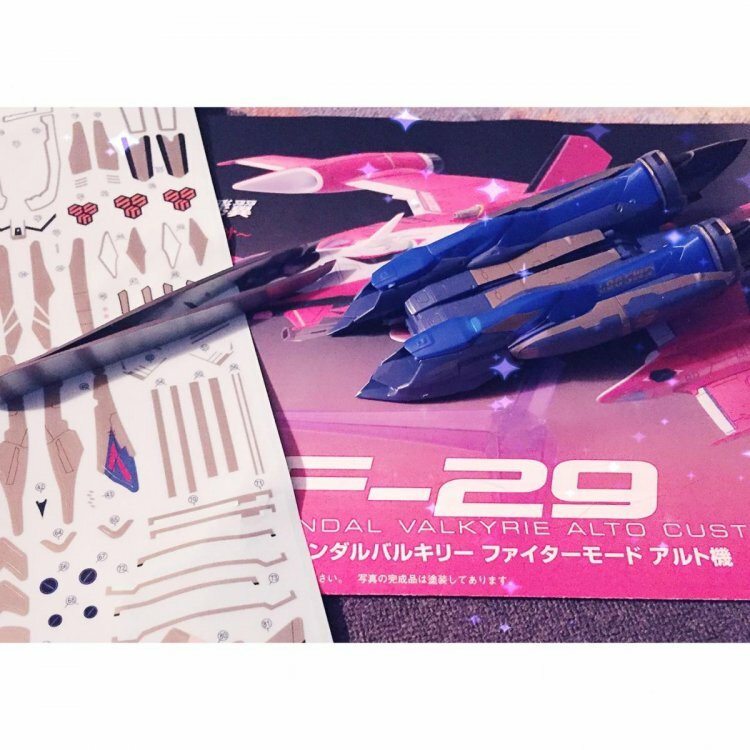 I bought a Sheryl YF-29 kit from a used toy store while I was in Japan last week. The pieces were still sealed in plastic, but it seems like I don't have the correct instructions? I have the instruction page for the YF-29 Alto Custom Durandal, which lacks a clear method of explaining which decals go where on the toy. Does anyone have scans of the instructions from that kit that they can/want to share? Thanks!! Interests:Building model kits, watching movies, drawing, painting, writing, anime, comic books and traveling. This should be posted in the Wanted Section. Anyways, here you go. Courtesy of Dalong.net.